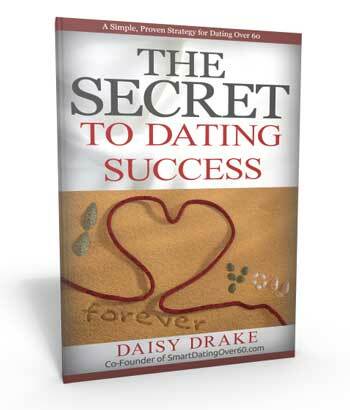 Entering the dating world as a mature woman, you might assume that men over 60 (or around that age) will be as emotionally mature as you are. You’re likely to come across quite a few men who never really grew up . . . for various reasons, that manifest in various ways . . . and may be permanently stuck at a much younger emotional age. Sit back and read on to prepare yourself to deal with this dating-over-60 dilemma. 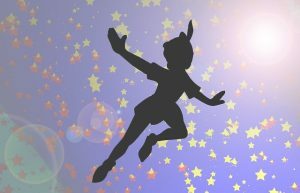 Have you heard of the Peter Pan Syndrome? You know the story . . . the boy who didn’t want to grow up. 1. He acts like a child, a teenager, or a person who is much younger than he is. He might throw temper tantrums or party all night with people 10 years younger than him. 2. He is often passive-aggressive, meaning he has a tendency to engage in an indirect expression of hostility through acts such as subtle insults, sullen behavior, stubbornness, or a deliberate failure to accomplish required tasks. 3. He is a narcissist or exhibits a childish selfishness. If something is even mildly inconvenient, he will resist doing it. 4. He is financially irresponsible. He spends too much money playing, partying, or chasing after women. 5. He rarely thinks anything is his fault. He blames everyone around him for everything that goes wrong in his life—even his mother if he can’t find another scapegoat. I dated a man who was the Peter Pan Syndrome poster boy. I had two dates with a man who was overly, and irritatingly, sarcastic. He delighted in manipulation . . . leading me along with drawn out, stone-faced fabrications and then landing a verbal punch aimed at my gullibility. It was like some kind of test he used to see if I could take it, because he surely wasn’t going to stop doing it . . . ever. He enjoyed my discomfort and the look on my face when, ultimately, he hit me with his smug “gotcha” smile. It was childish and tiresome. On the second date, after I’d put up with his games for a while, I said something like, “It’s difficult to have a conversation with you when you do that. I don’t know when to believe what you’re saying”. He gave me a cold, dismissive look that said, “She’s a drag. She can’t take a joke”. For both dates, he arrived with the worst breath imaginable, that was noticeable from several feet away. On the first date, he unapologetically used heavy-duty profanity several times. I should have cut and run after such a first date, but I’d often give men a second chance. I thought maybe his gibes and bad behavior came from jitters. And there were some things about him I liked. As was often the case, the second date confirmed what I suspected after the first one. He wasn’t for me. Another date I had with an emotionally immature man over 60. I remember a first-and-only date with a man who sat down at the booth we shared at a diner and immediately launched into a tirade about his ex-wife . . . that lasted for nearly the entire hour that the date lasted. He was very worked up, and had nothing but negative things to say about her, non-stop. When he and I communicated by email and then phone before the date, that negativity was not apparent. I got a good feeling about him, and I foolishly set aside a cardinal rule of mine for first dates – always meet for coffee only, not a meal. But there I sat, nodding my head at him occasionally and trying to get a word in edgewise, to no avail. He needed, and felt entitled, to bend my ear for as long as he chose. And there was no contrition. He clearly took no responsibility for the breakup of his marriage, although he mentioned having an affair. It was all on his ex-wife. Such immature, boorish behavior red-flagged him within about 5 minutes of that first date, but I was stuck, waiting out the end of the meal and the arrival of the check. Conversely, look for these things that indicate you’re dating an emotionally MATURE man. He can make decisions and has courage in his convictions. He accepts responsibility, doesn’t whine when things go wrong or blame others for his misfortune. He’s driven and passionate about his work and interests, and causes important to him. He’s close to his friends and family. He’s open, doesn’t bottle up his emotions and is able to connect with his feelings. Need more signs that you’ve found a man capable of sustaining a healthy, long-lasting relationship? They don’t let fear keep them from achieving happiness and success. They don’t create an idealized image of a woman in their mind. They don’t get baffled by a woman’s words or actions. They don’t let their ego get the best of them or act on impulse. Let’s look at how Emotional Intelligence (EI) factors into choosing the right man. In an Inc. article, servant leadership expert Marcel Schwantes (@MarcelSchwantes on Twitter) talks about how well people with emotional intelligence deal with anger, that very human emotion. They put boundaries on people who make them angry. They get to the bottom of why they’re really angry. They respond, they don’t react. They take a six-second pause. They are the first to reach out after an argument. They shift to the positive. 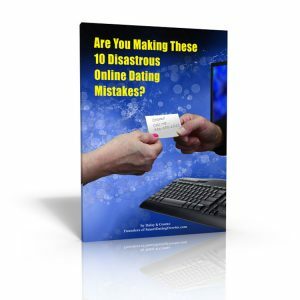 You may not be able to get a clear picture of how your date stacks up to the 6 criteria above on the first date, but after the second or third date, you should have a pretty good idea. 7 tips from my experience to help you avoid dating immature men. 1. Pay attention to how he treats the wait staff or servers wherever you meet for the date. If he’s unkind to them, it’s not much of a stretch to realize he’ll be unkind to you, too, at some point. 2. Think twice about continuing to date men who constantly lapse into harangues about their exes. They’re showing you that they either haven’t gotten over their ex, or they’ve done no introspective work to find out how they contributed to the demise of the relationship. 3. Watch out for alcoholics and other addicts. The very nature of addiction insures arrested emotional development and a poor relationship for you. They’re so wrapped up in getting and consuming their drug of choice that there’s little room to concentrate on you and the relationship. 4. Trust your gut about your first impression of them. If the guy takes little care with his appearance or makes no effort to have a balanced conversation with you, you can be pretty sure it will go downhill from there. After all, shouldn’t he want to look his best and be on best behavior for a first date? 5. Lean in towards an introvert. They tend to be more mature than extroverts who act before thinking. Introverts do the opposite. They take time to consider the consequences, before acting. 6. If your maternal instincts kick in with an obviously emotionally immature man – that overwhelming “I can fix him” feeling – stop and think about what you’ll be letting yourself in for, in the long run. Tolerating and taking care of a grownup adolescent. 7. 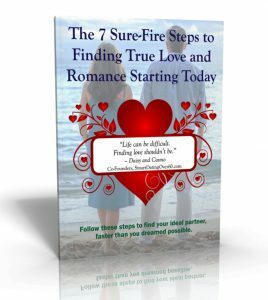 Read my article, 9 Signs That You May Be Dating a Narcissist, and be sure you don’t see your date in my cautionary signs.